Valentina Shevchenko knows Joanna Jedrzejczyk well despite the fact they are about to face each other in mixed martial arts for the first time Dec. 8 at UFC 231. Prior to both fighters joining the UFC, Shevchenko and Jedrzejczyk were rising stars on the Muay Thai kickboxing circuit, where they clashed three times. On all three occasions, Shevchenko got the better of Jedrzejczyk by unanimous decision, and once they both ended up in the UFC, it felt inevitable that they would meet again. A lot of changed since those Muay Thai fights— the last of which took place in 2008—but Shevchenko doesn't discount the lessons learned from spending so much time in the ring with Jedrzejczyk over the years. "We fought in Muay Thai three times, all three times it was a unanimous decision, my victory," Shevchenko told FloCombat ahead of her fight with Jedrzejczyk at UFC 231. "I think this fight will be a very good fight between two strikers. I think we will put a show on with this fight and everybody will be happy." While Shevchenko acknowledges Jedrzejczyk's skills, she says her preparation, coaching, and strategy gave her the edge in the past. "I think it was many factors like strategy, tactics and of course, personal qualities," Shevchenko said. "My coach can analyze every time and in the fight, he can see all the small details and give the right advice in the right moment. All of this coming together, this has made a success for me all three times." Obviously, Muay Thai isn't MMA, so it's impossible to compare the two sports and to expect the same things to happen now that took place a decade ago when Shevchenko last battled Jedrzejczyk. Still, Shevchenko knows Jedrzejczyk is primarily a striker and from watching her compete in the UFC for the last three years, a lot has stayed the same. "Every experience will help. It doesn't mater when it was, it doesn't matter how it was—every experience will help," Shevchenko said. "For example, I know what to expect from her. I know her style. I know her power. I know her bad and good sides. "This is the most important that I do my job to prepare me for the fight and be in the best shape and just do the best that I have to do. Just repeat the same result that I already showed." If there's one aspect of Jedrzejczyk's game from those Muay Thai fights Shevchenko feels will absolutely carry over into their flyweight championship bout, it's the kind of power and strength the former UFC women's strawweight champion possesses. Shevchenko competed for most of her UFC career as an undersized bantamweight, so she knows all too well what it's like to go up against bigger, stronger competition. That's why Shevchenko says Jedrzejczyk is in for a rude awakening when they clash in Toronto. "Strawweight, they have one power, but in flyweight, the girls have totally different power," Shevchenko said. 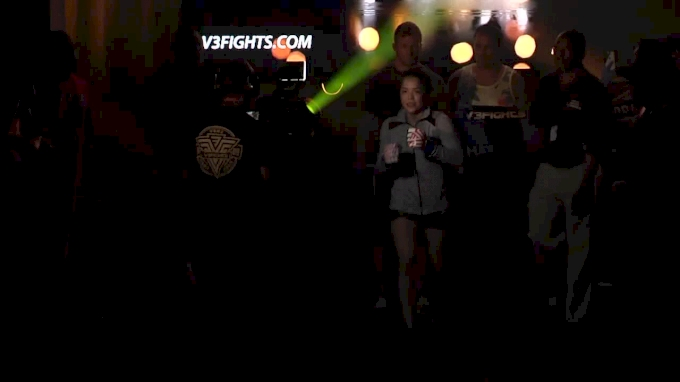 "You can be the best one in the strawweight [division] but here it's a totally different feel. Because this is not someone who has less power than you. This is someone who has more power than you. This is where I feel it's my territory." Shevchenko respects what Jedrzejczyk has done during her UFC career, including her accomplishment of being the longest reigning strawweight champion in history. In fact, Shevchenko wishes Jedrzejczyk the best of luck when she decides to try for that title again—because strawweight is where she belongs. "You can be queen and she loves to say that she's queen and she can be queen in her field and her field is strawweight," Shevchenko said. "She was before she lost her title. This is my territory. Here she cannot say nothing."